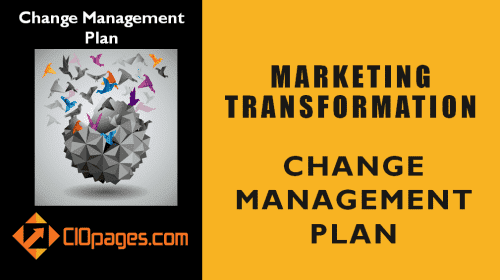 What are Change Management Models? 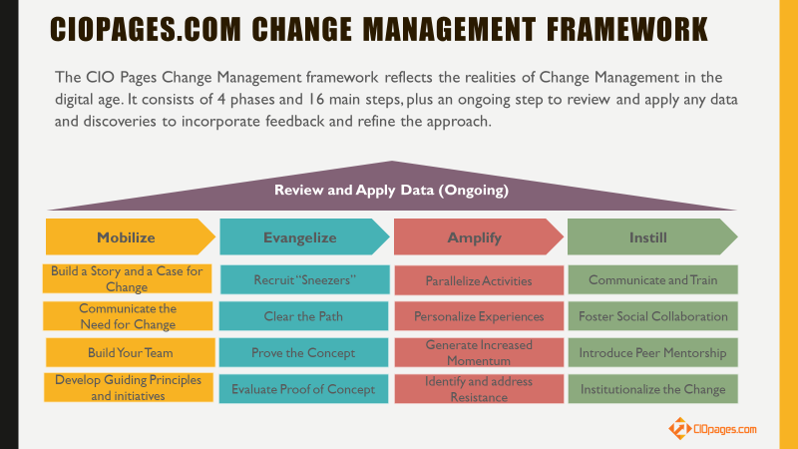 Change Management Models are frameworks which encapsulate a foundational concept, a methodology, a content metamodel, and an in-depth approach to achieving the transformation change objectives and foster adoption and acceptance of the new desired state. Think of change management models as a guide or a compass to navigate and institute transformational change. In this article, you will find an introduction to the top ten change management models and exploration of the underlying theory and practice. An enterprise may choose from one of the top ten change management models or mix and match elements from more than one model. 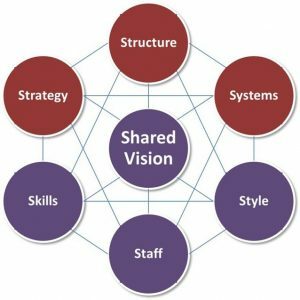 Each model employs a unique approach to instituting change and make enterprise transformations stick. 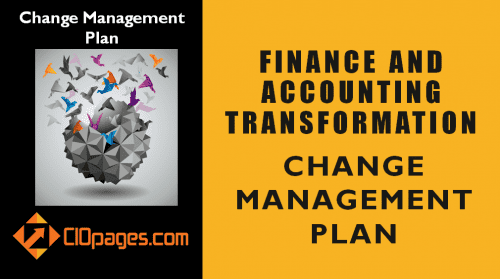 A variety of change management models exist, and one may fit a particular organization business structure better. Most change management models were created by industry experts or academics and are a combination of academic/field research and/or experience. Harvard Business Review states that the goal of change management is to “cope with a new, more challenging market by changing the way business is conducted.” Of course, successful implementation of the intended changes and meeting all intended objectives is what’s critical. 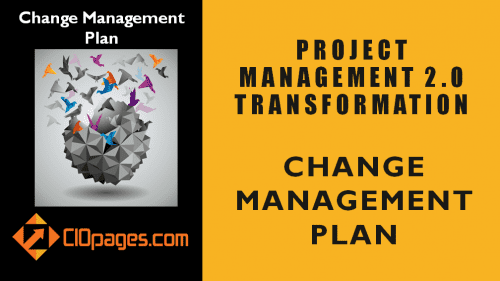 Change management may be used to alter anything from the organizational structure or business environment to technology or job roles. Now let’s delve into each of the top ten change models and explore the concept, the underpinning theory, and the applicability. One of the most popular and successful change management models, Lewin’s Change Management Model act by Kurt Lewin, a social scientist, and physicist in the 1940s. Lewin was interested in what factors or forces are influencing a situation at any given time — notably, social situations. He aimed to determine the effects either hindered movement toward a goal or drove the move toward a given unfreezing. He is mostly considered the founder of change management. Unfreeze is a preparatory phase that helps those who will be affected by the transition to break down the current status quo and accept that change is imminent. Key here is noting the reasons why the current state is flawed and cannot continue. 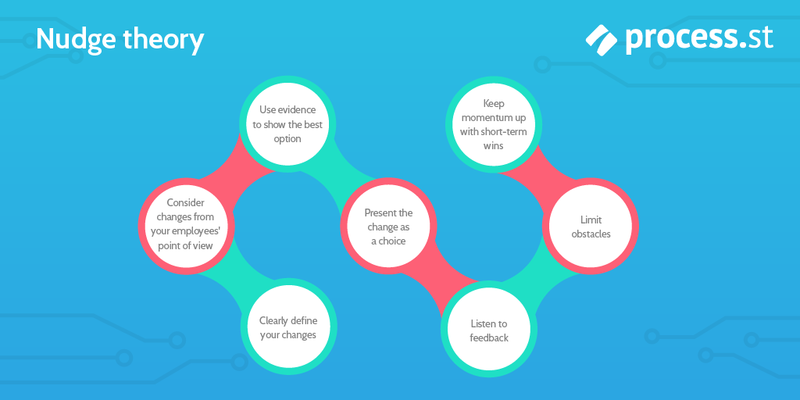 During this step, the simplicity of time, as well as excellent communication, are used to implement change. 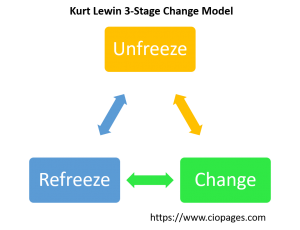 Where the unfreeze stage can be stressful, the change stage continues to be somewhat stressful, but it moves forth regardless with support and constant communication. During this phase, rumors are dispelled, and everyone is empowered to act. Finally, a refreezing phase must take place to “set in stone” the changes that were initiated in the “Change” phase. Strategies are developed to help anchor these changes so that they do not disappear or lapse into old ways. Successes are celebrated, and communication and support continue. 2. Build a guiding coalition: Enlist key players, including stakeholders and leaders. 3. Form a strategic vision and initiatives: Define your intended changes. 4. Enlist a volunteer army: Get everyone else on board and driven to implement necessary change. 5. Enable action by removing barriers: Identify and remove barriers that would otherwise be roadblocks to freedom and effective change. 6. Generate short-term wins: Track progress and energize participants through the next celebration of even small successes. 7. Sustain acceleration: After the initial successes, continue to press on the initiative of change until your goals are met. 8. Institute change: Identify the new behaviors that have been positive, and continue to express them so that they build strength and old habits don’t reappear. Unlike other methods of change listed here, nudge theory possesses no set model of change. It is a theory based on behavioral science that proposes tactics and mindsets to institute a change in behavior. The essential core of the theory is that enforcing change in the traditional, methodical sense is not effective. Nudging change along, however, can be highly effective. Focus on the recognition of the need for change. It necessitates early communication. Leadership sponsorship of the intended changes and resistance management help facilitate desire for change within the working body. Coaching and training help develop a keen understanding of how to change. Time, practice and coaching facilitate ability in realizing the changes that are intended for the organization at the desired performance level. Finally, recognition of success and corrective action for possible failures help to reinforce changes and make them permanent. This model was created by William Bridges, a change consultant, in his book, Managing Transitions (1991). The model puts the focus not on change, but the transition. Key here is that transition is internal and occurs more slowly than change. It also occurs within the mind. Alternatively, change is external; it happens to someone. It also occurs rather quickly. There are three stages of transition in this model. All transitions begin with an ending. During this stage, people identify what is ending, what they are losing, and how to let go of these losses. This stage embodies a segment of time in which the old has passed away, but the new is still not fully in operation. It’s not a comfortable stage, but it’s necessary and acts as a “seedbed” where new beginnings can grow. This step is where new understandings, values, and attitudes are adopted. Impacted individuals have new roles, and they understand their purpose and how they contribute to the overall goals of the organization. Elisabeth Kübler-Ross was a world-renowned psychiatrist and creator of the “Change Curve” as well as the “The Five Stages of Grief,” which she outlined in her book, On Death and Dying. 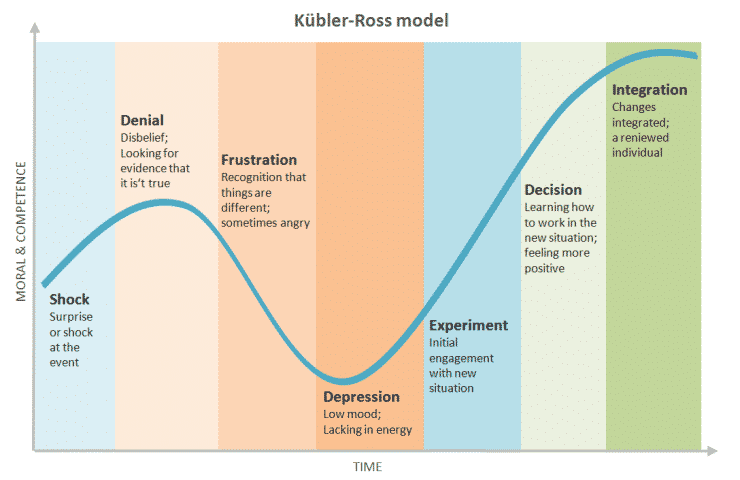 This model is similar to the Kübler-Ross model, but the progression through change (grief or emotional transition) are offered through a model of performance, which makes them considerably more useful for business purposes. This defines the starting point before the change. What is the current state of performance, technology, morale, etc.? Resistance occurs when employees react with negative emotions to change. What exactly are employees resistant to? What new elements are causing this resistance and why? This stage occurs at the lowest point of morale and motivation and the height of resistance to change. Here, productivity takes a positive turn, and enthusiasm begins. As with all stages, tracking performance and success is vital. Finally, a new “normal” should be implemented. The change has become “normal,” and ideally, higher and better performance result. 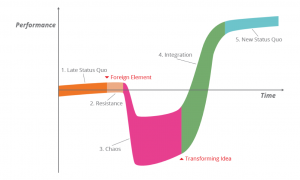 Finally, we have the Maurer 3 Levels of Resistance and Change Model. 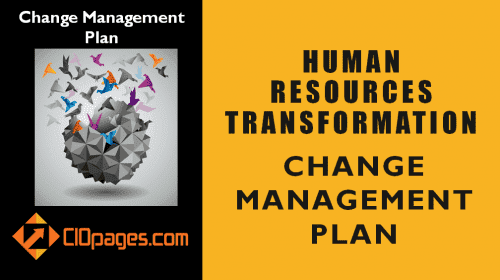 This model was established by Rick Maurer and outlines the three levels of resistance that any organization will face when attempting to implement a severe change. This resistance occurs when employees haven’t received enough information, disagree with the data, have a lack of exposure to critical information, or have confusion over what the data and information mean for them. This is an emotional reaction to change that occurs when employees feel jilted, fearful, or upset that they’re being forced to alter their routines, habits, and/or job roles. Finally, many employees take another emotional tack with resistance, putting the negativity on the people instigating the change as opposed to on the actual changes themselves. 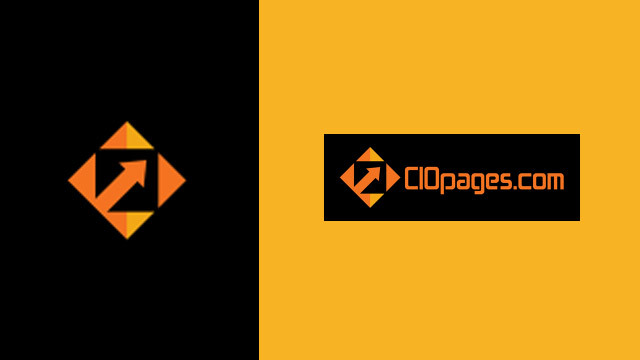 CIOPages.com offers a change management model which is free to use. 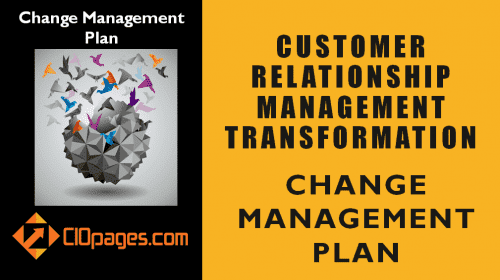 For more details, please check out the CIOPages.com Change Management Framework. 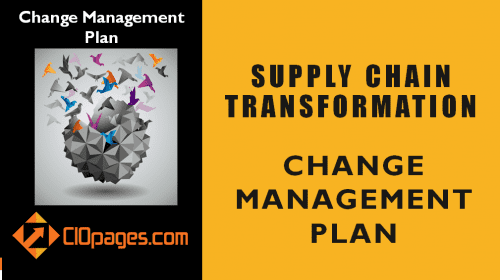 Which of the change management models have you used for your enterprise transformation? What were the challenges and results during the change process?